Higher density living means the big backyard is a thing of the past for many people in Australia, but people are turning to pots to keep trees and plants in their lives. 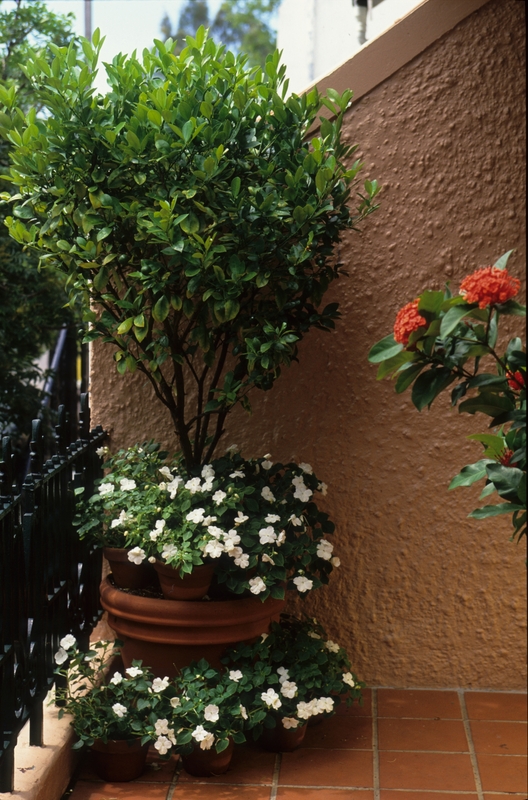 Nursery & Garden Industry Australia (NGIA) has noticed a strong trend towards container gardening, not just for small plants and vegetables but also for trees, for courtyards, balconies and small gardens. “Many tree and shrub varieties grow quite successfully in containers. Apart from a much more attractive outlook than a fence or neighbouring building, they provide shade, better air quality and privacy,” said the CEO of NGIA, Mr Robert Prince. “It is sad to see such limited individual green space in urban developments which highlights the need for public spaces with trees to provide all the environmental, social and financial benefits they offer. “But it is encouraging that the community is keen to improve their plant life balance. We are witnessing a strong growth in edible gardens and tree planting, even in pots,” Mr Prince added. Take into account the aspect of your courtyard or balcony – how much sun you get will influence what kinds of plants and trees are suited. Don’t forget them once they are underway – a little fertiliser, watering and pruning will keep them in shape and growing well. NGIA suggests that many varieties are suited to container planting, both ornamental and fruitful. “Citrus are very suited to container growing, so they offer the bonus of fresh lemons, oranges or other citrus,” said Mr Prince.